Ms Julie Watson is a Principal Teaching Fellow in eLearning/Head of eLanguages in Modern Languages and Linguistics at the University of Southampton. Before joining the University of Southampton in 1992, Julie Watson taught EFL and ESP in Italy, Sweden, Japan and the UK. 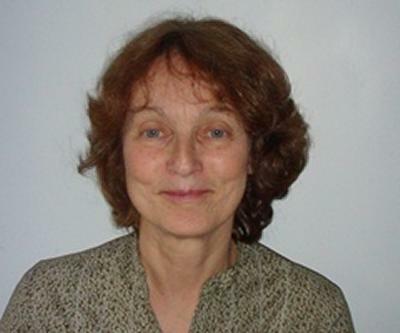 She has also been involved in teacher training and student counselling, and directed and taught on a range of EAP courses in the Centre for Language Study at the University of Southampton between 1992 and 2003. Her research interests include the use of new technologies for language learning, pedagogical issues, instructional design and online learning. Watson, J. (2013). Combining international student social and academic transition online. ISEJ International Student Experience Journal, 1(2), 31-36. Watson, J. (2010). A case study: developing learning objects with an explicit learning design. Electronic Journal of e-Learning, 8(1), 41-50. Watson, J. (2010). Many from one: repurposing learning objects to meet discipline-specific needs. IADIS International Journal on WWW/Internet, 8(1), 16-26. Watson, J. (2007). Integrating podcasts and learning objects in an online course for international students. ALISS Quarterly, 2(4), 18-21. Watson, J. (2013). FAVORing the part-time language teacher: the experience and impact of sharing open educational resources through a community-based repository. In A. Beavan, A. Comas-Quinn, & B. Sawhill (Eds. ), Case Studies of Openness in the Language Classroom (pp. 85-95). Research-publishing.net. Watson, J., White, S., Bradley, L. (Ed. ), & Thouësny, S. (Ed.) (2012). Designing and delivering an e-presessional course in EAP for the 21st first century international student. 314-319. Paper presented at 2012 EUROCALL Proceedings, Sweden. Watson, J. (2011). Designing a self-access website of pre-arrival learning resources to support international student mobility. Paper presented at Ed Media 2011 World Conference on Educational Multimedia, Hypermedia & Telecommunications, Portugal. Watson, J. (2011). The virtual path to academic transition: enabling international students to begin their transition to university study before they arrive. Paper presented at 10th European Conference on e-Learning (ECEL-2011), United Kingdom. Harvey, F., & Watson, J. (2010). Herding cats virtually: managing a multi-disciplinary university island in Second Life. LLAS E-Learning Symposium, United Kingdom. Watson, J., Borthwick, K., & Miguel, A. (2010). The teaching community as the driving force in resource-sharing initiatives and repository-building. 1484-1493. Paper presented at ELEARN 2010, United States. Watson, J., & Jeffery, A. (2009). MUVE, Moodle and a microblogging tool: blending technologies to prepare international students for language and life in the UK. Eurocall 2009: New Trends in CALL: Working Together, Spain. Harvey, F., & Watson, J. (2009). Starting from virtual: a university island and a Second Life language learning project. Intercultural Experiences: National Workshop 2009, United Kingdom. Watson, J., Dickens, A., & Gilchrist, G. (2008). The LOC tool: creating a learning object authoring tool for teachers. In Proceedings of Ed-Media 2008: World Conference on Educational Multimedia, Hypermedia & Telecommunications Chesapeake, US: Association for the Advancement of Computing in Education. Watson, J., & Dickens, K. (2007). Versioning RLOs as ‘study skills toolkits’ for different user groups and developing community tools to support sharing and customisation. In Proceedings of E-Learn 2007: World Conference on E-learning in Corporate, Government, Healthcare and Higher Education Chesapeake, US: Association for the Advancement of Computing in Education. She is Principal Teaching Fellow in eLearning in Modern Languages and Linguistics and leads eLanguages, a small pedagogic research and development team, which produces online courses and resource sets in EAP and related areas. She designed and led the development of the international Prepare for Success website; a Masters Programme in English Language Teaching: Online; an online pre-sessional course and the commercial EAP and Study Skills Toolkits. For further details visit the elanguage website. Her main research interests are learning design, the implementation of new technologies in language learning, and online tutoring. She also co-ordinates the work of e-materials developers on collaborative projects and delivers e-developer and online tutor training programmes. She is part of the supervisory team for a number of post-graduate students conducting research into the use of new technologies in language learning.